Ph.D. in Clinical Psychology, University of Utah. Dr. Ken Critchfield received his doctoral degree from the University of Utah. His internship was at the San Francisco VA Medical Center, with post-doctoral training focused on treatment of personality disorders at Weill-Cornell Medical School with John Clarkin, Ph.D. and Otto Kernberg, M.D. Prior to his recent (2014) move to join the C-I program faculty he was co-director of the Interpersonal Reconstructive Therapy (IRT) clinic at the University of Utah Neuropsychiatric Institute. IRT is an integrative approach that uses an attachment-based case formulation method to optimally tailor treatment for individual patients. He works closely with Dr. Lorna Smith Benjamin, creator of IRT, to operationalize and test efficacy and process of change of IRT as applied with adults having severe and chronic psychiatric problems often involving comorbid personality disorder and chronic suicidality. Deeply transformative change appears possible with this method, even for patients who have not benefitted from previous “state of the art” treatment attempts. 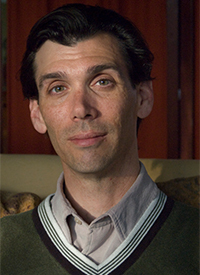 Dr. Critchfield frequently consults on issues of methodology, design, and analysis for projects involving the interface between interpersonal measurement (especially moment-by-moment interactional process using the Structural Analysis of Social Behavior), personality, and psychopathology. He serves as secretary for the Society for Exploration of Psychotherapy Integration (SEPI), as well as past-chair of the Education and Training Committee of Society for Advancement of Psychotherapy (APA Div. 29). He is licensed in VA and maintains a small practice applying IRT to a wide range of clinical problems. Ulberg, R., Ness, E., Dahl, H-S, J., Høglend, P. A., Critchfield, K. L., Blayvas, P., & Amlo, S. (2016). Relational Interventions in psychotherapy: Development of a therapy process rating scale. BMC Psychiatry. 16(310). DOI: 10.1186/s12888-016-1021-4 (downloadable, free access: http://rdcu.be/vCih). Critchfield, K. L., Benjamin, L. S., & Levenick, K. (2015). Reliability, sensitivity, and specificity of case formulations in Interpersonal Reconstructive Therapy: addressing psychosocial and biological mechanisms of psychopathology. Journal of Personality Disorders. Critchfield, K. L., & Mackaronis, J. E. (2015). Use of empirically-grounded relational principles to enhance clinical-decision making. In J. J. Magnavita (Ed. )Clinical Decision-Making in Behavioral and Mental Health Practice. APA Press. Knobloch-Fedders, L. M., Critchfield, K. L., Boissom, T., Woods, N., Bitman, R., Durbin, C. E. (2014). Depression, relationship quality, and couples’ demand / withdraw and demand / submit sequential interactions. Journal of Counseling Psychology, 61(2), 264-279. Ulberg, R., Amlo, S., Critchfield, K. L., Marble, A., & Høglend, P. (2014). Transference interventions and the process between therapist and patient.Psychotherapy, 51(2), 258-269. DOI: 10.1037/a0034708. Critchfield, K. L. (2012). Tailoring common treatment principles to fit individual personalities. Journal of Personality Disorders, 26(1), 108-125. Critchfield, K. L., & Benjamin, L. S. (2010). Assessment of repeated relational patterns for individual cases using the SASB-based Intrex questionnaire. Journal of Personality Assessment, 480-489. Critchfield, K. L., Clarkin, J. F., Levy, K. N., & Kernberg, O. K. (2008). Organization of co-occurring Axis II features in BPD. British Journal of Clinical Psychology. 47(2), 185-200. Critchfield, K. L., Levy, K. N., Clarkin, J. F., & Kernberg, O. F. (2008). The relational context of aggression in BPD: Using adult attachment style to predict forms of hostility. Journal of Clinical Psychology, 64(1), 67-82. Critchfield, K. L., Henry, W. P., Castonguay, L. G., & Borkovec, T. D. (2007). Interpersonal process and outcome in variants of cognitive-behavioral psychotherapy. Journal of Clinical Psychology, 63(1), 31-51. Benjamin, L. S., Rothweiler, J. C., & Critchfield, K. L. (2006). The use of Structural Analysis of Social Behavior (SASB) as an assessment tool. Annual Review of Clinical Psychology, 2, 83-109. Critchfield, K. L. & Benjamin, L. S. (2005). Integration of therapeutic factors in treating personality disorders. In L. G. Castonguay & L. E. Beutler (Eds.). Principles of therapeutic change that work. (pp. 253-271). New York: Oxford University Press. Critchfield, K. L., Levy, K. N., & Clarkin, J. F. (2004). The relationship between impulsivity, aggression, and impulsive-aggression in borderline personality disorder: An empirical analysis of self-report measures. Journal of Personality Disorders, 18(6), 557-572.